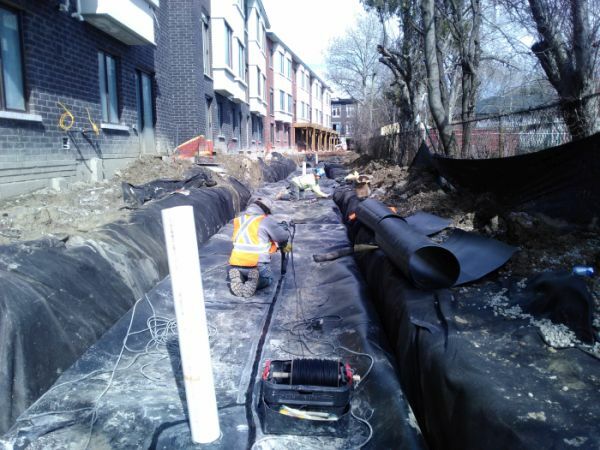 Leak detection system where the geomembrane in conjunction with a geonet and geotextile is deployed to capture and direct leachate to collection pipes and further to a leachate collection container. 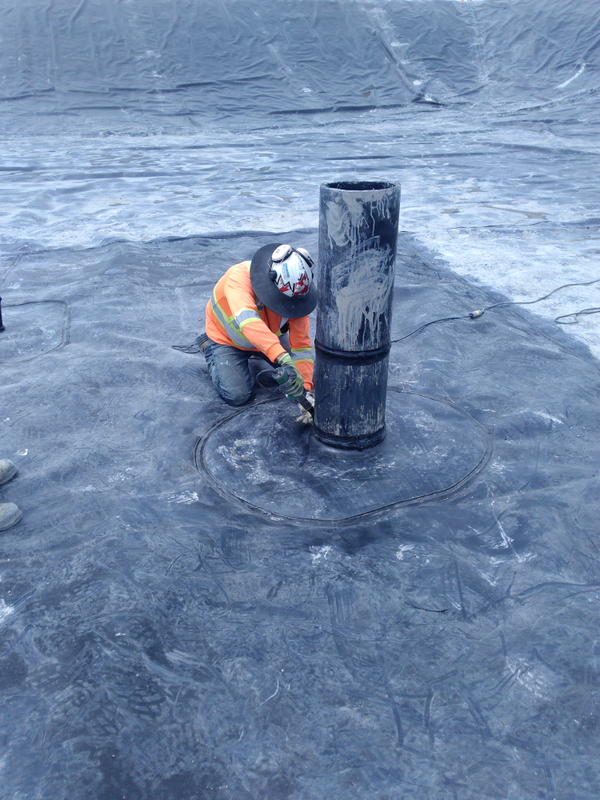 In general, HDPE (40, 60, 80, and 100 mil) has been used for thousands of applications throughout the world in the industrial, mining, municipal and recreational sectors of our economies and continues to be employed in a vast array of unique and demanding projects. Solmax International Inc., is aware of the fragility of our environment and the importance of contributing to its preservation. Technical solutions to specific environmental containment problems often require the application of synthetic membranes. Solmax International has developed global expertise in the manufacture and installation of these synthetic membranes known as geomembranes.